These two cell models show the anatomy of plant and animal cells in very high detail. Not just a basic conceptual model, but constructed from scans using electron microscopy. Organelles are presented in a raised relief from the surface, and structures are identified with included keys. 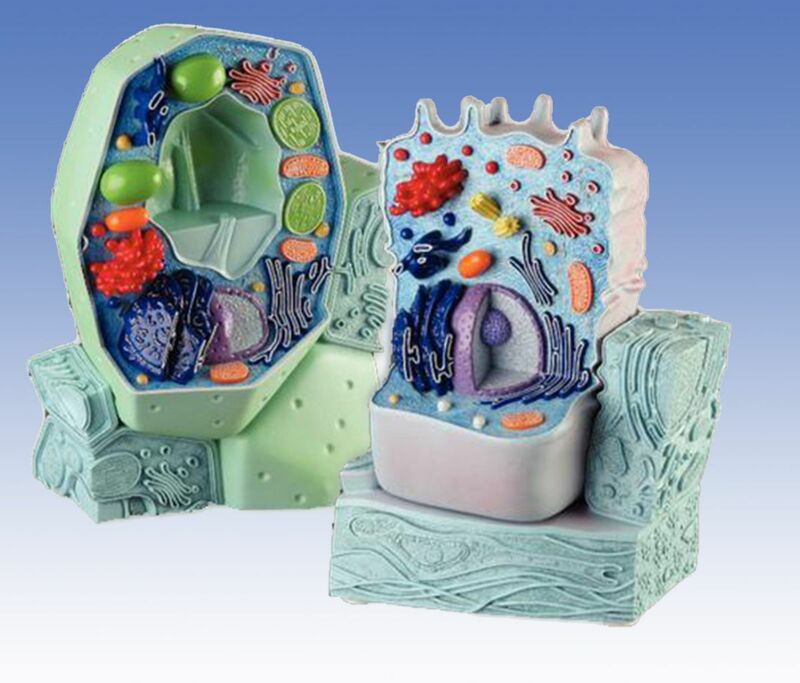 Even the removable bases on these models are functional, showing the cells placement with adjacent cells and even showing the plasmodesmata between the plant cells.